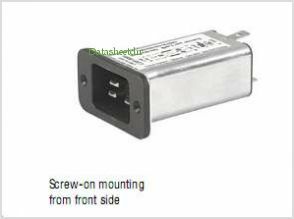 IEC Appliance Inlet C20 With Filter Front Or Rear Side Mounting C20F.0101 By Schurter, Inc. This is one package pinout of C20F.0101,If you need more pinouts please download C20F.0101's pdf datasheet. C20F.0101 circuits will be updated soon..., now you can download the pdf datasheet to check the circuits!